We take part in a “King of the Hill” event in BlazeRush as we try our best to stay in the lead for 50 seconds to secure victory. The action never lets up in BlazeRush and you’re never far away from being either first or possibly last. Fortunately we very much take advantage of the weapons on offer such as the slime gun, saw blade and autogun to help us secure first place for as long as possible. 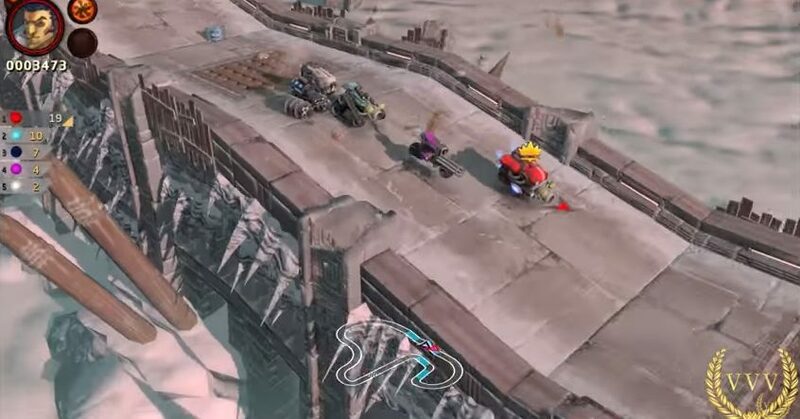 The King of the Hill mode is one of several modes on offer in BlazeRush which also includes traditional races, elimination (known as Death races with a giant spiked steam roller no less) races and time trials. If you are interested in finding out more about BlazeRush you can read our extensive review here, gameplay below.